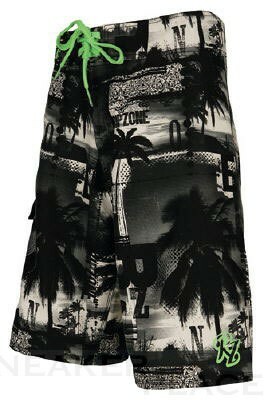 Very nicely cut board shorts with palm trees and beach print. The water shorts sitting firmly and has a green Schnürbändel sealed. black / white with green eye-catchers.